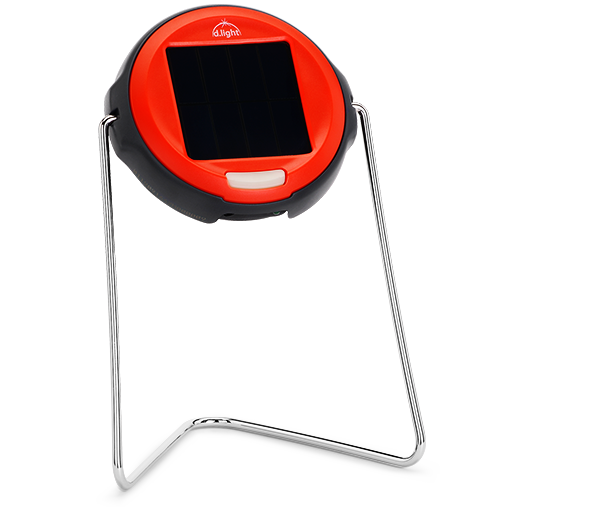 The d.light S3 is the next generation of the world’s best-selling solar lantern. 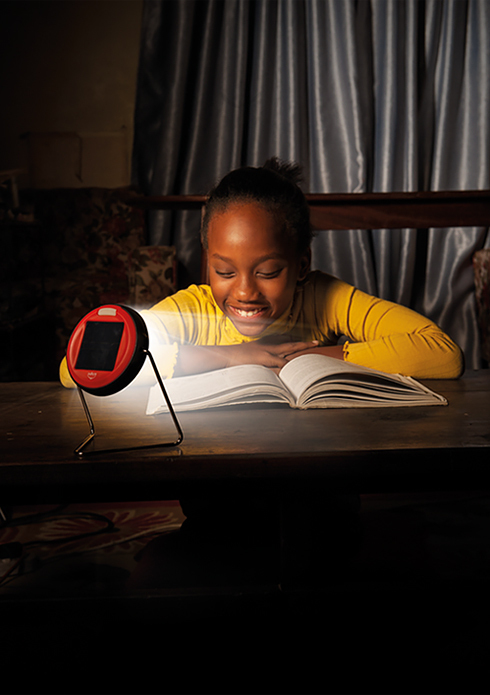 This easy-to-use solar-powered light enables children across the developing world to study during evening hours, improving their grades and creating a brighter future. Parents love the affordability, reliability and opportunity it provides. 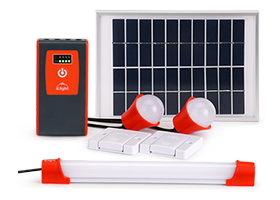 The affordable d.light S3 provides our customers with a great value. 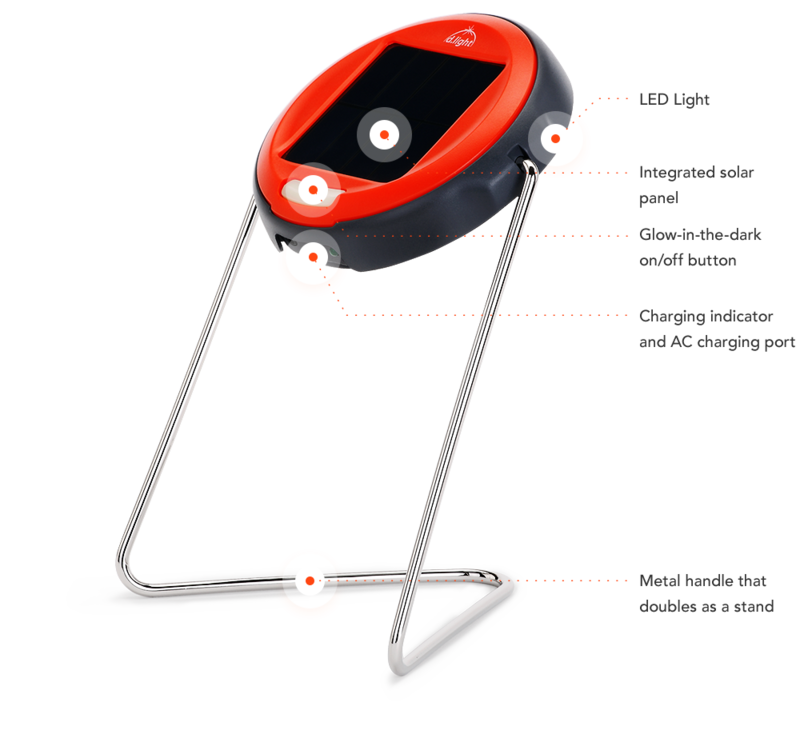 The sturdy design is built to withstand daily use, with a product lifetime of over five years. 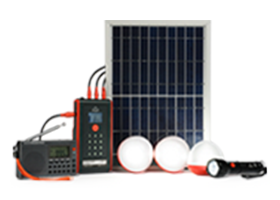 The highly efficient solar panel allows it to charge even on cloudy days. 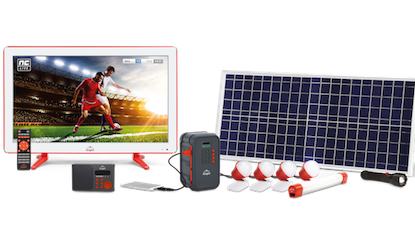 The d.light S3 goes wherever you do. 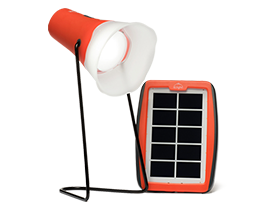 The adjustable, metal handle allows the solar light to be placed on a table, set on the floor, hung from a wall or on a hook – it is perfect for use inside the home and outdoors. 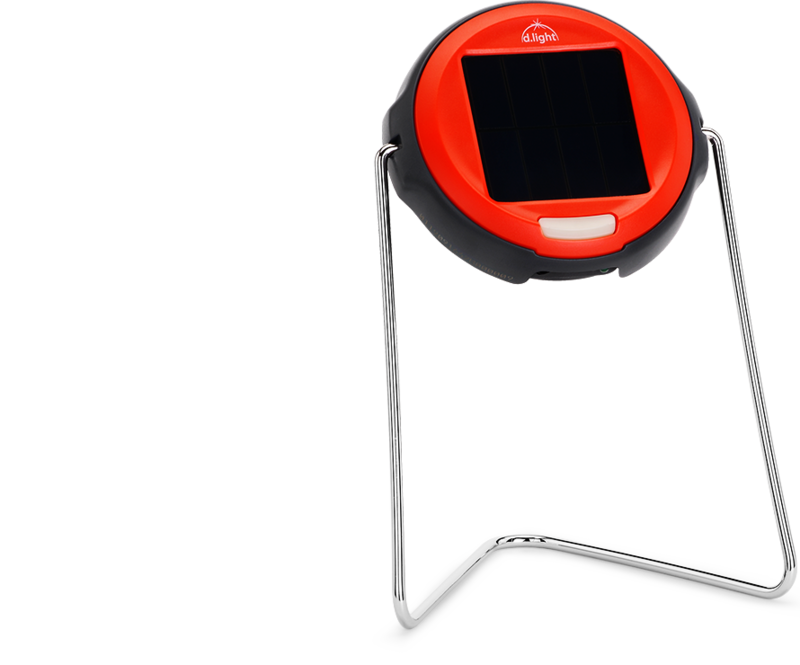 The d.light S3 solar lantern can be placed on a table, hung from a wall, and used outdoors. 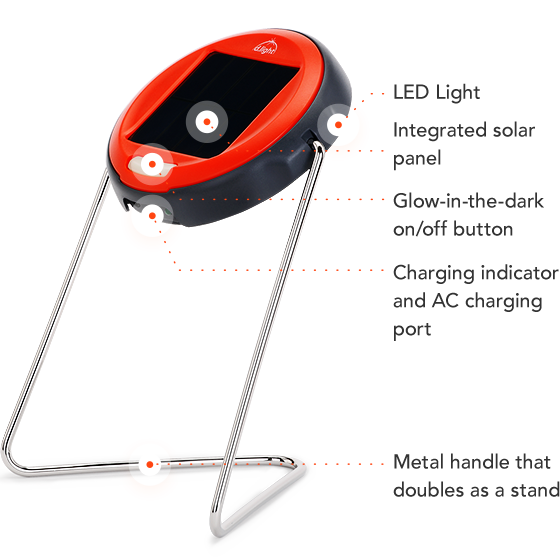 The ambient light spreads a bright, even glow throughtou a room.